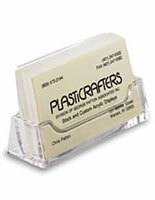 Made of Acrylic to be Portable & Durable. Steadying Lip in Back to Keep Pocket Upright. 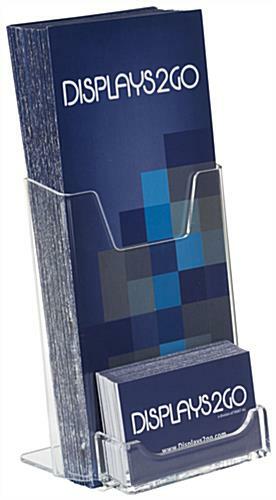 2 Pockets to Present Business Cards & Trifold Brochures. 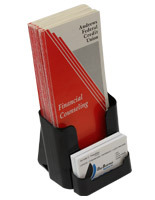 The plastic literature holder for desks comes with an attached business card slot for presenting both types of information on countertops. 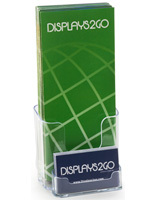 The clear acrylic display is able to offer unhindered views to customers of the information that is placed inside. 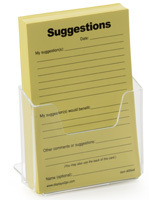 The literature holder for countertops is great for use in waiting rooms, car dealerships, commercial lobbies to offer information about services and the people that will provide them. 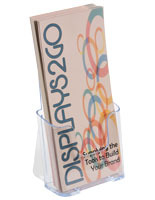 The clear acrylic pocket is durable and will withstand placement in busy areas of retail settings. 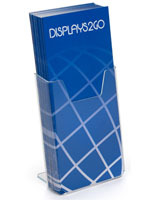 The holder is 4.1” wide and is best at presenting pamphlets and business cards that are slightly less than 4” in width. 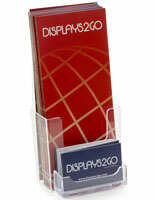 There is a lip at the back of the display that will help to steady it and keep it upright when used on counters. Ideal for my medical office. Thank you so much for the great review, Kathy Lee! 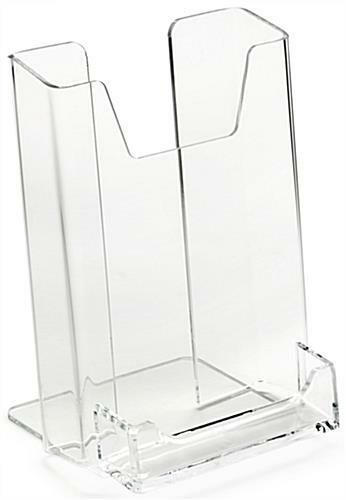 We're glad that this brochure holder was the perfect solution for your medical office, and we hope you'll shop with us again soon!